“Does practical mean worth keeping? Last year, 5,318 pets were abandoned. 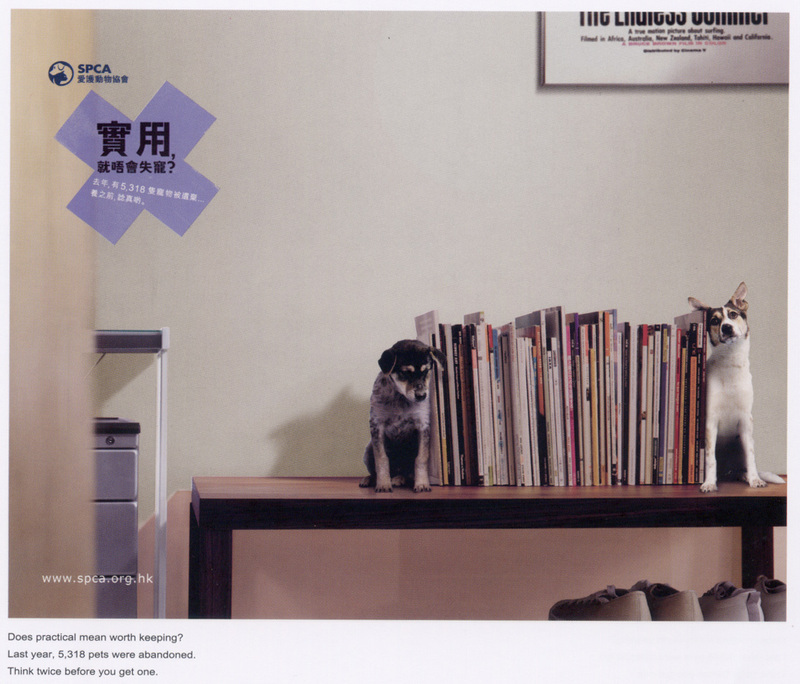 Created for the SPCA (HK) by 香港奧美廣告, via Longyin Review. We are a group that raises money out of selling braclets, Jewellery and cookies. When we have raised some money, we research on the animal funds in Hong Kong and give a donation. It was only this morning that we went to SPCA in Kowloon, Hong Kong and donated $288.50 HKD. We hope that this money goes to good use for the animals. We were wondering aswell, wether you could keep in touch with us about any animal needs or festivals and wants here in Hong Kong.